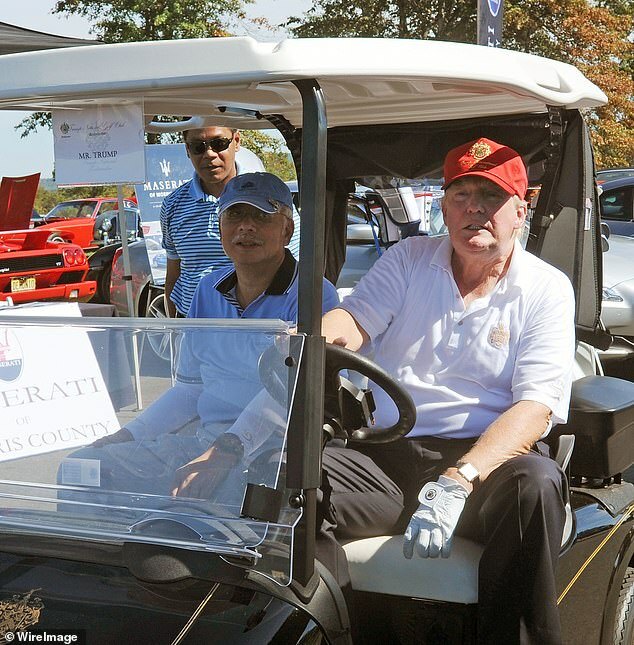 A pair of women who say they got jobs using fake documents that brought work at Donald Trump's Bedminister, New Jersey, golf course have come forward to reveal their labors and blast the president for his 'insults' against immigrants. 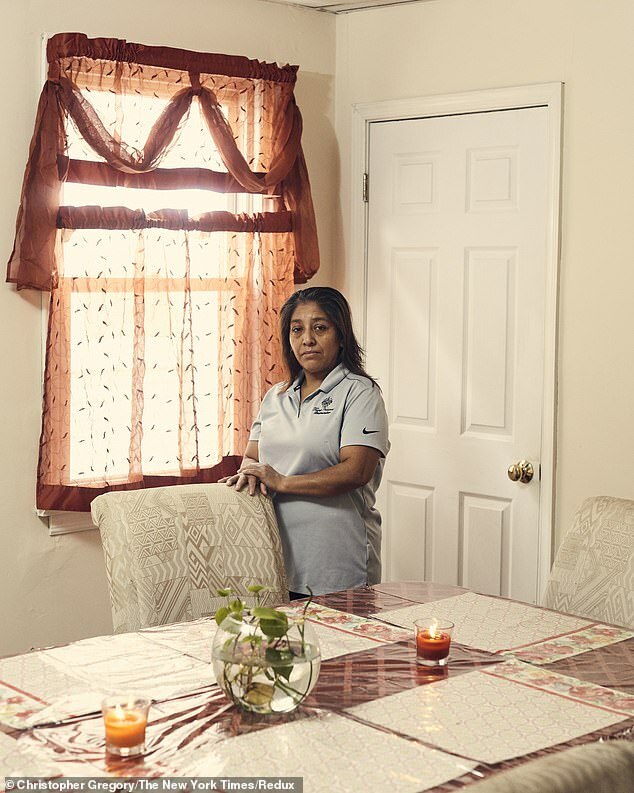 Victorina Morales, an illegal Guatemalan immigrant, says in a bombshell interview that she cleaned Trump's toilet and dusted his golf trophies at the Bedminster club frequently visited by the president. 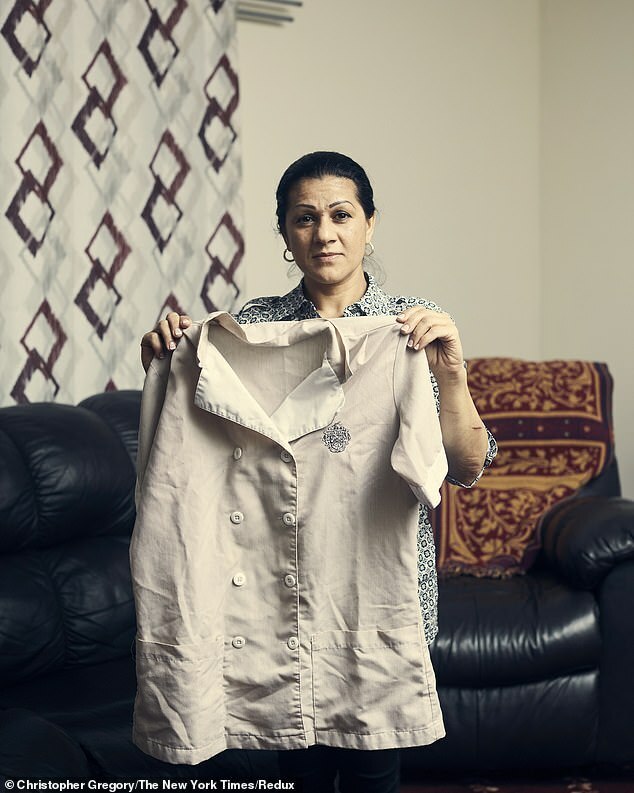 She says she washed and ironed Trump's white boxers, golf shirts, and khakis. Another worker, legal resident Sandra Diaz from Costa Rica says she got work when she was illegal, using a bogus green card to secure employment. The two revealed how the Trump family's garments were washed in a separate machine with special detergent - and the president exploded when a make-up stain would not come out of his white golf shirt. 'He is extremely meticulous about everything. If he arrives suddenly, everyone runs around like crazy' Diaz told the New York Times. The women approached the paper through their lawyer to tell of their time working for Trump, and how they landed jobs by using fake Social Security numbers and green cards. Morales told the paper she was hurt by Trump's public comments. The president railed against illegal immigrants in the 'caravan' during the campaign, and has referred to an 'infestation' of immigration. In other respects, the women described some of the perks of employment, even earning cash tips from Trump. Morales said she cleaned Trump's villa while he watched TV, saw a parade of potential cabinet picks during the presidential transition, and witnesses chief of staff John Kelly – the former head of Homeland Security – meet with the president. 'I never imagined, as an immigrant from the countryside in Guatemala, that I would see such important people close up,' said Morales. 'There are many people without papers,' said Diaz. The women worked on housekeeping and golf course maintenance. 'If an employee submitted false documentation in an attempt to circumvent the law, they will be terminated immediately,' the Trump Organization told the paper. Morales is seeking asylum, and is aware she could lose her job for taking her complaints to the press. During the campaign, the Washington Post reported that Trump relied in part on illegal immigrant workers as part of the $200 renovation of a luxury hotel in Washington, D.C. Trump denied it, saying: ''I didn't hire one illegal immigrant to build Trump International Hotel on Pennsylvania Avenue,' getting the property's name in his response. Trump could often provide welcome incentives to staff, presenting them with cash tips. 'You did a really great job,' he told Morales at one point, giving her a $100 bill. But she said Trump once lashed out after she failed remove orange stains – the product of his own makeup – from the white collar of his golf shirt, according to the piece. The Trump Organization did not immediately respond to a request for comment, nor did the lawyer representing Morales.